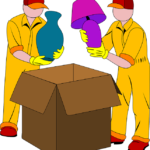 When moving, the safety of your items while in transit is definitely going to be a major concern for you. 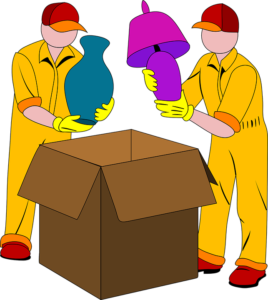 You won’t want anything to get damaged and you need to make sure that things arrive at your new place safely. Textile blankets have very strong structures and as such, they are capable of serving as shock absorbers for vibrations and other forms of excessive physical reactions. Basically, you can use a textile blanket as a sort of padding for your fragile product, and you can rest assured that it will help to provide a cushioning effect in the case of too much movement. Moving trucks can sometimes go too fast, thereby causing too many vibrations (thanks to collisions between the truck and the road). This vibration is capable of breaking several items, but you can always trust on a textile blanket to help soften the effects of such vibrations. When an item is wrapped in a textile blanket, you can rest assured of the fact that it is clean and protected from dust. The blanket essentially wraps around it and as such, it acts as a form of shield throughout the move. If you’re worried about having to clean your things as soon as you get to your new place, that worry can easily be alleviated by the application of a textile blanket. Textile blankets have over time grown to be very integral parts of a moving kit. Manufacturers have seen that and as such, they have been able to provide various blankets for very cheap and pocket-friendly prices. As opposed to other cushioning options, textile blankets provide various functionalities, and they really don’t cost much. Textile blankets have the form of clothes (just like regular blankets), and that means that working with them is as easy as it can be. All you have to do is get one and wrap it around a fragile item. There are no unnecessarily complex steps, and they help make things considerably faster. Another major advantage of using textile blankets comes from the fact that they can be very space efficient. They take up minimal space, thereby allowing you to pack as many items as you can while they also perform their function as shock absorbers for all items in boxes.